The Basilio Badillo shop is small and inconspicuous. But once you step inside, you immediately find yourself surrounded by beauty, spirituality and good intentions. 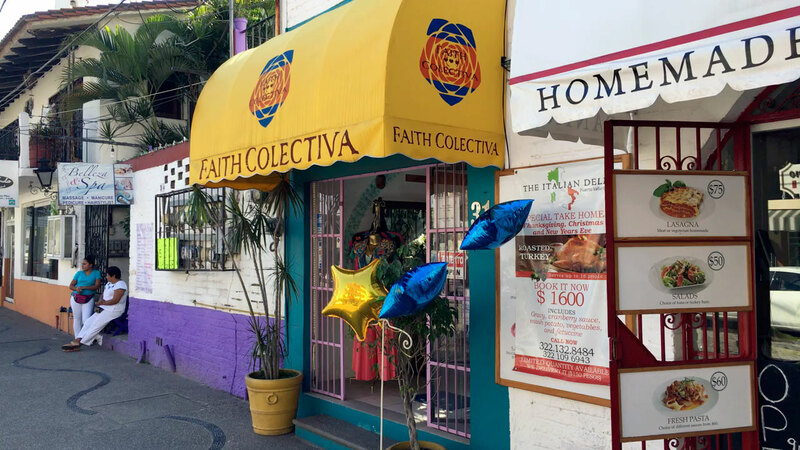 Faith Colectiva is one of several tiny shops along Basilio Badillo St. in Colonia Emiliano Zapata that truly draws you in. 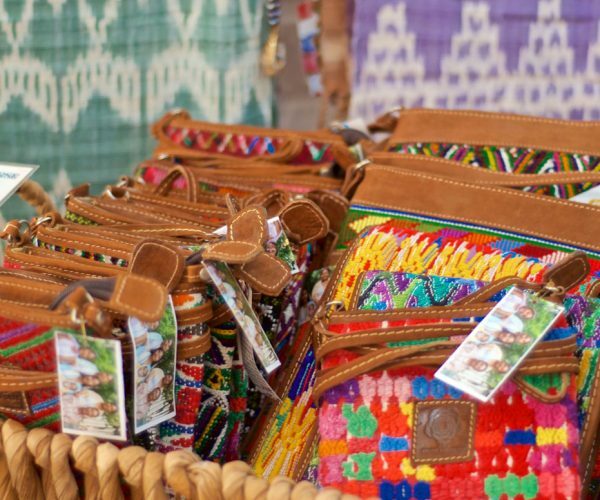 They feature beautiful handmade jewelry and fashion accessories with deep connections to Mexico and some Latin American countries. 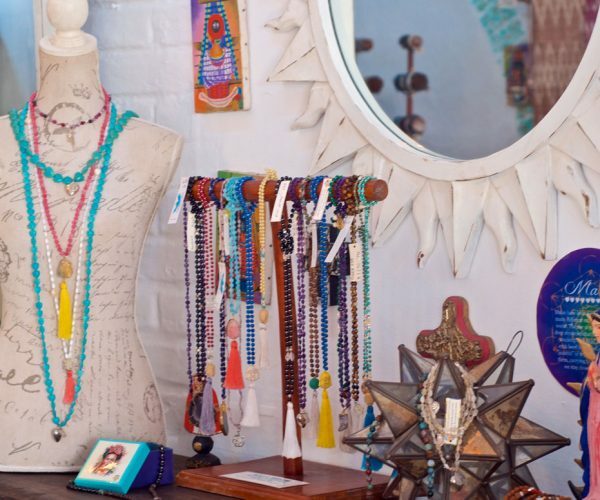 The centerpiece of the shop, however, are their beautiful mala or prayer beads, traditionally used in meditation. The venture was founded by fashion designer Katie Coleman almost a decade ago. Originally from Connecticut, she worked in New York City’s fashion industry for 14 years and has been around the world five or six times, visiting important shows throughout Europe and Asia. The story behind her connection to Puerto Vallarta is as unique as her sensibility. 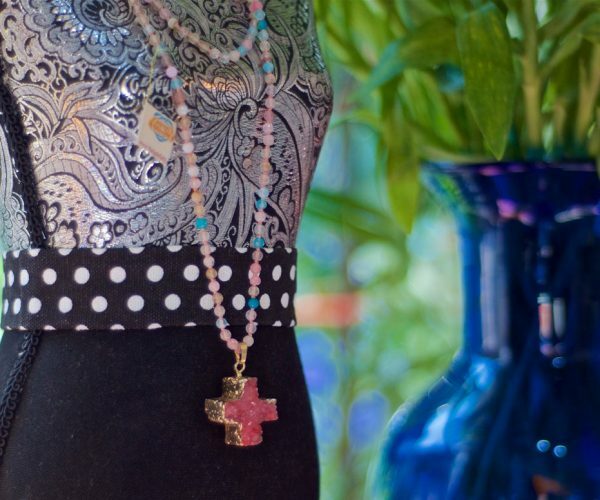 It was vendors, specifically, that compelled her to launch Faith Colectiva a few years later. Like many tourists and locals, Coleman found herself relaxing at Los Muertos Beach restaurants on a frequent basis. She began noticing the same vendors walking by day after day, selling their wares, facing frequent rejection, but always smiling. “I was overwhelmed,” she recalls. “I wanted to be able to buy everything, but knew I couldn’t.” She was particularly interested in a few women who used to sell necklaces and braid hair and decided to take action. Here’s to the ladies who bead! Faith Colectiva’s crew of empowered local women, creating a better life for themselves. The only request the women made was to continue working through the Summer months. Coleman eagerly complied. 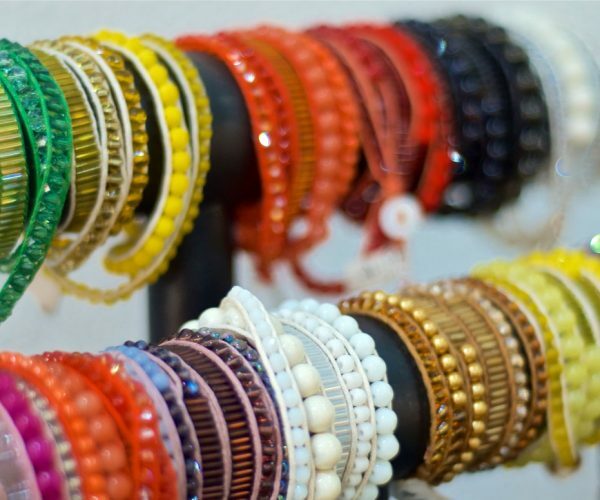 Today, the women get together at the store on a weekly basis, usually on Mondays or Thursdays, and set up shop, producing malas and bracelets, which are sold at the store and also online, through the website, theladyfaith.com. Learn more about Faith Colectiva by connecting with them on Facebook or Instagram.